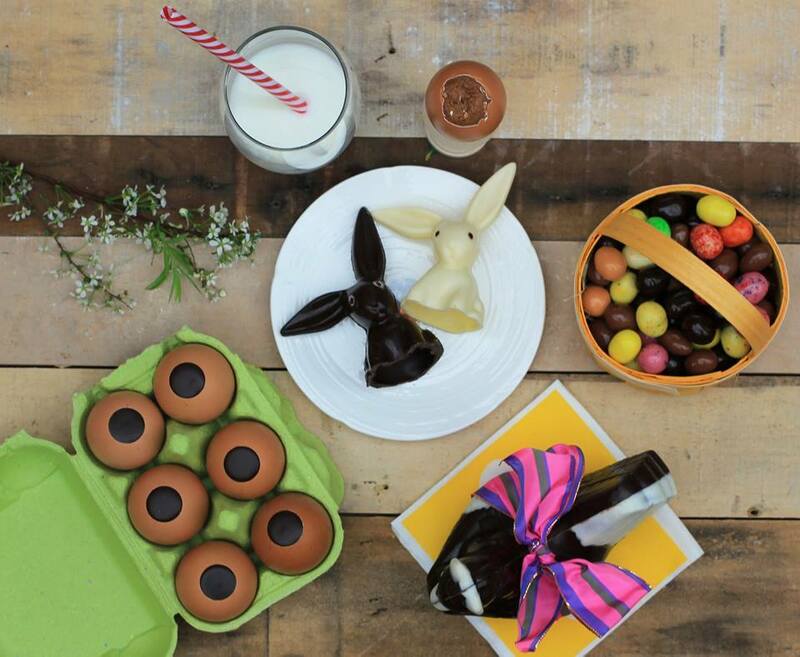 Easter remains one of those times of year where you can eat yourself to crisis point in chocolate. Rabbits, chickens, bells, and of course eggs, whatever shape or size, there is always room for another. 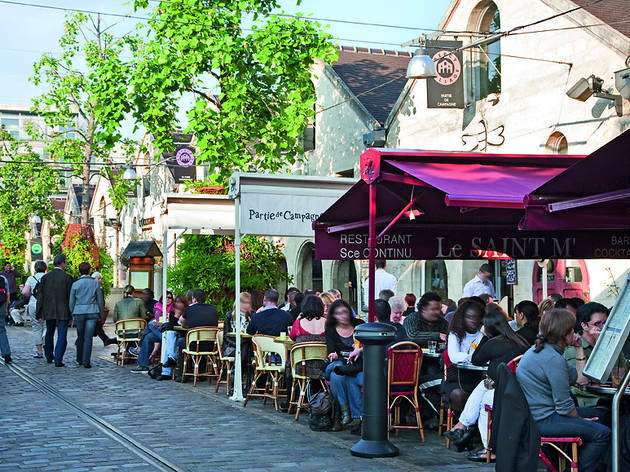 Here's the lowdown on where to hunt out these delicious treats in Paris, and outside the city too. 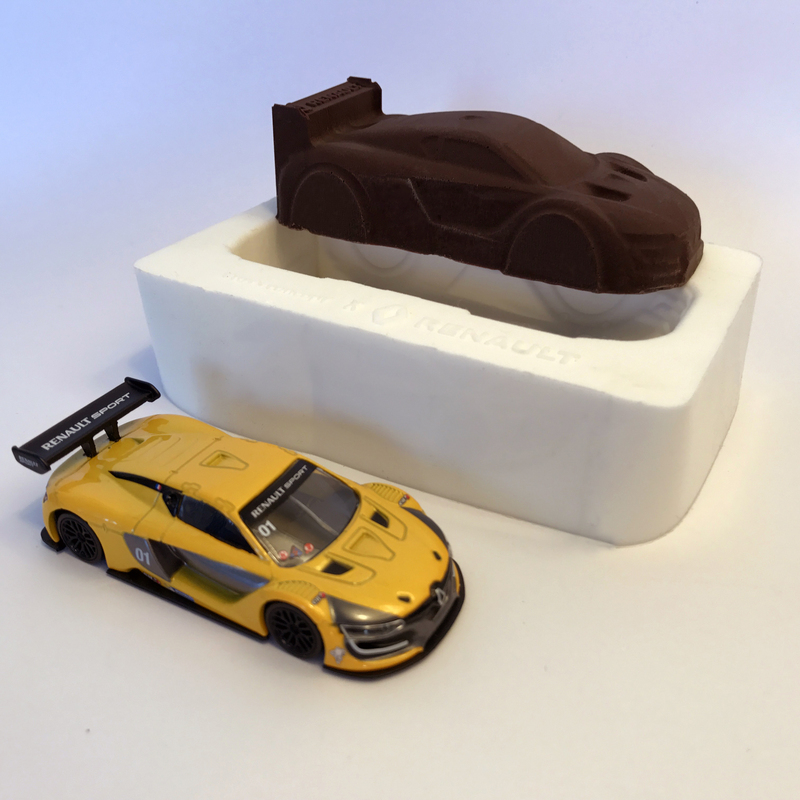 And adults, we've not left you out either! 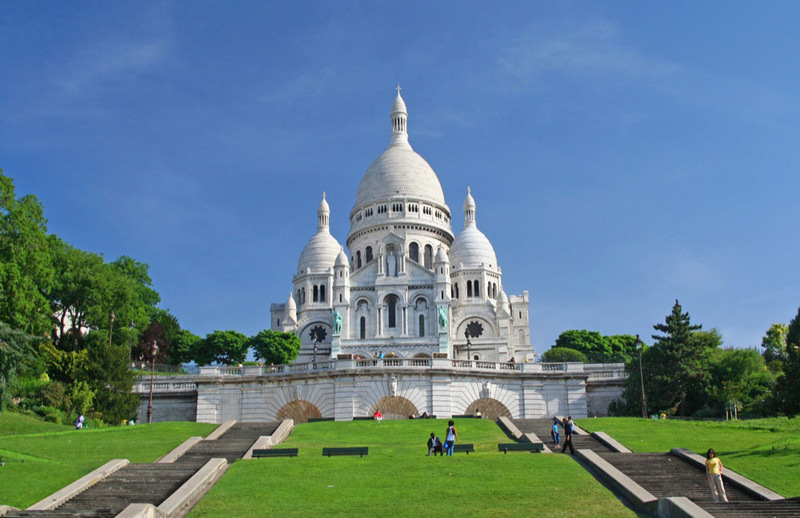 On Paris's most prestigious mount, two giant easter egg hunts lie waiting. 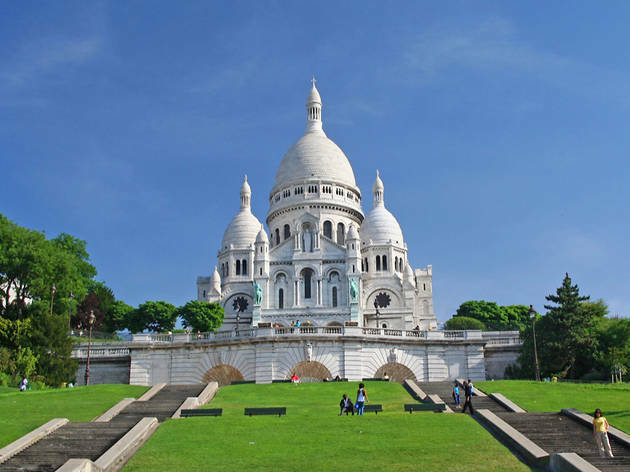 Kids between ages 3-12 will have a whale of a time gathering as many eggs as they can beneath the impressive Montmartre icon. 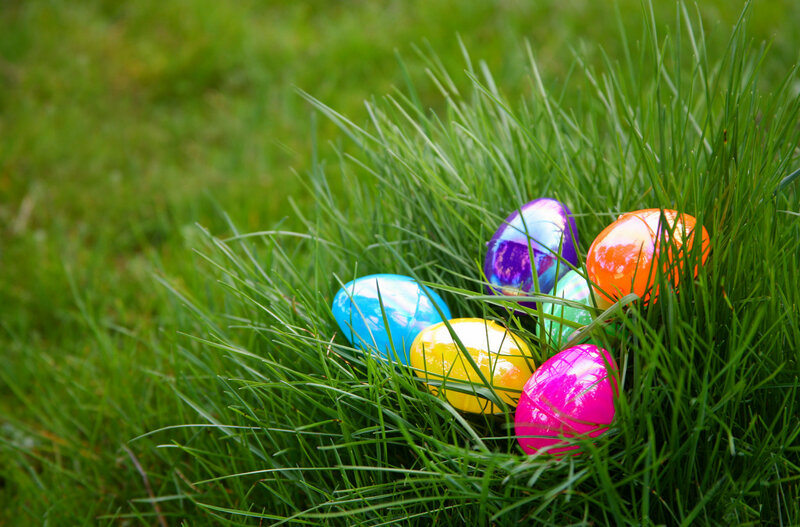 Every year the Champ de Mars promenade sees more than 20,000 eggs scattered on its vast lawn. Children aged 3-10, are welcome to retrieve as many eggs as they dare. 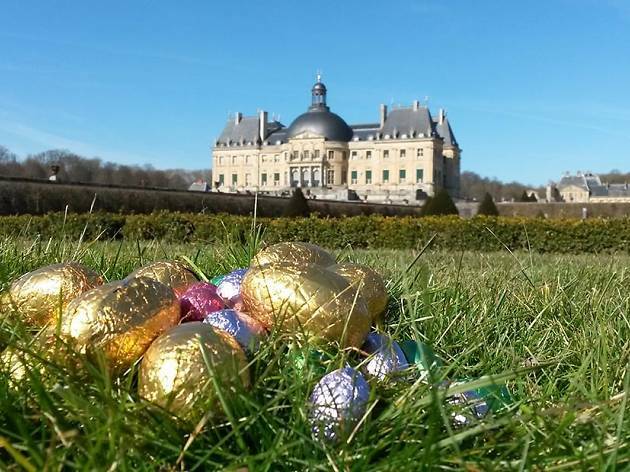 Organised by the Secours Populaire, this Easter egg hunt ends with a delicious chocolate tasting. 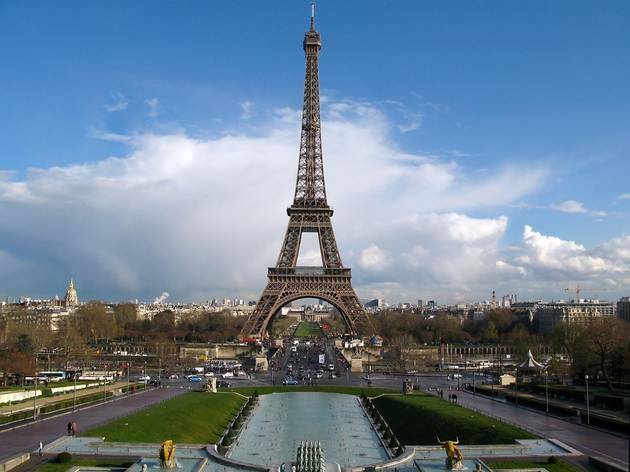 And, in front of the Eiffel Tower? You can't get much more Paris than that. When? Sunday 16 and Monday 17 April 10am-5pm. Extras: Additional €3 for make up and floral workshop. Easter bunny leaves his burrow and makes a stop in Paris's botanical gardens. Toddlers aged 2-5 can to join with their 'help' of their parents, around the vegetable garden. 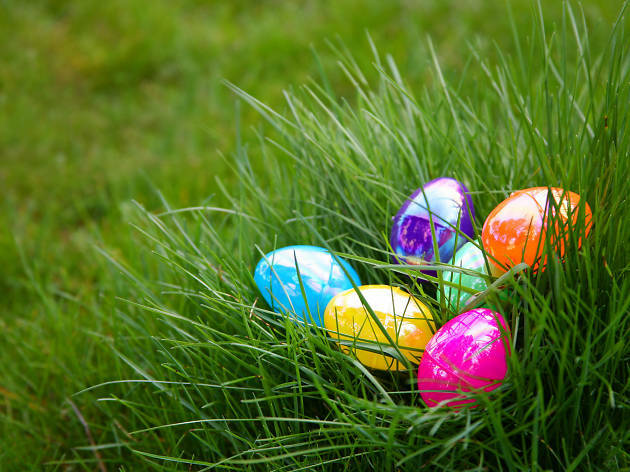 Those in between ages 6-10, will head to the lama roundabout for their Easter egg hunt. Milk chocolate, white chocolate, praline, caramel…there is enough variety to satisfy all choco lovers. When? Saturday 15 – Mon 17 April. From 10am-12noon, and then again at 2pm-4.30pm. How much? The hunt is free, but access to the gardens is €3 for those older than 3. 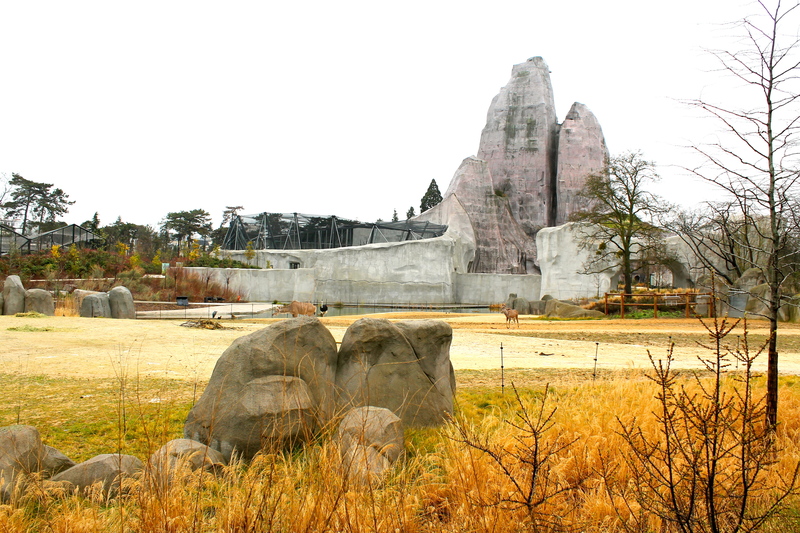 Vincennes Zoo welcomes anyone between the ages of 7-77 to enjoy some rich (in cacao) and varied activities. 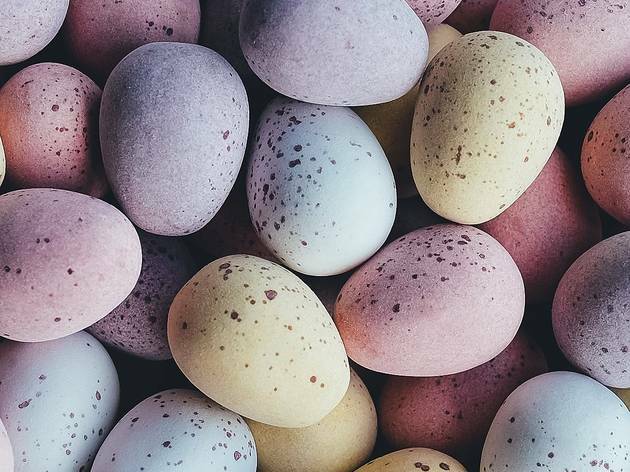 From the famous 150, 000 chocolate egg hunt to educational activities to counteract the chocolate indulgence, the day promises to be loaded with fun. 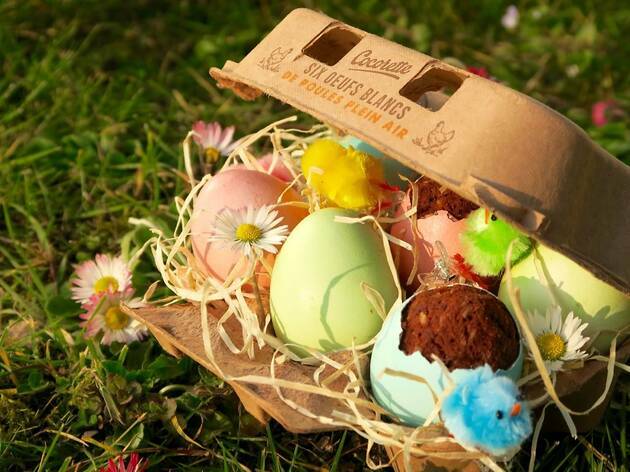 Keep your eyes peeled for the 8kg egg - jackpot of the day’s competition. When? April 16 and 17, 2017. How much? 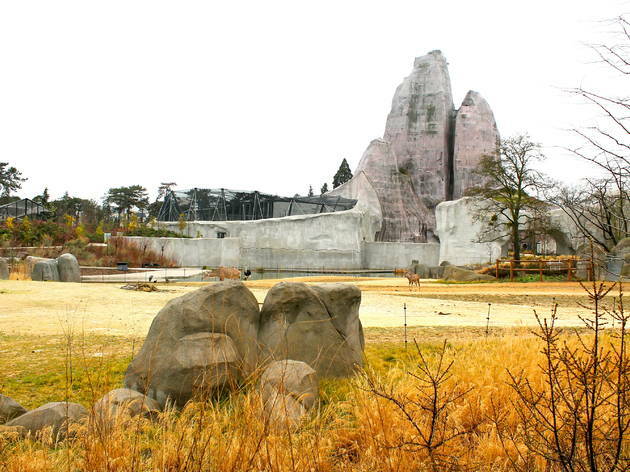 Activities are accessible through the entrance ticket to the park. €22 for adults, €16.50 for 12-25, €14 for 3-11. 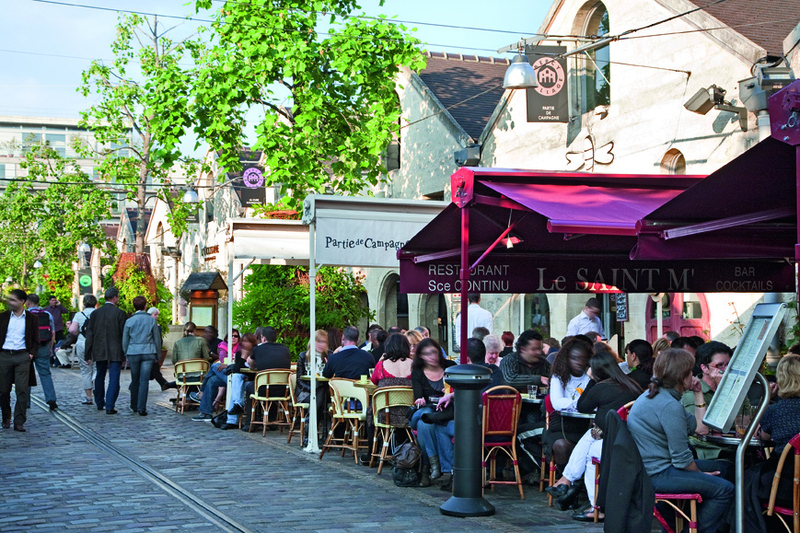 For the first time, the Easter bells are making a stop at Bercy Village. 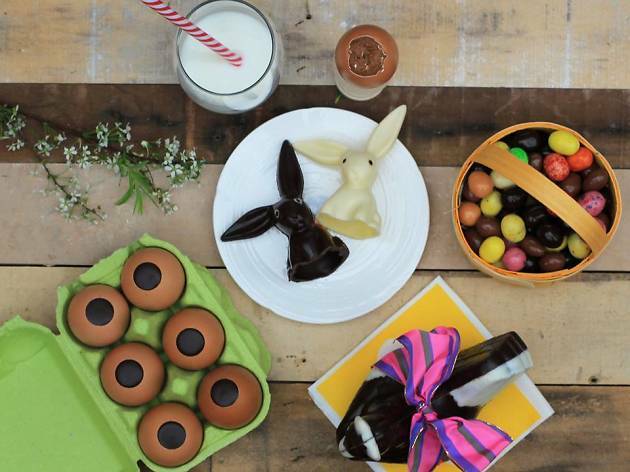 Over a 1,000 chocolate eggs and rabbits have been hidden in the corner of Saint-Emilion court. It's just up to you to find them! But take note, when the count down begins you will have only 20 minutes to fill your basket. The most observant hunters will be offered a surprise by The Gourmande Cure: so keep your eyes peeling and get your trainers on! When? April 16 from 2pm - 6pm. How much? Registration required on site. Free. For the second year in a row, Atelier Renault Café des Champs-Elysées is organising several hunts beneath the hoods. 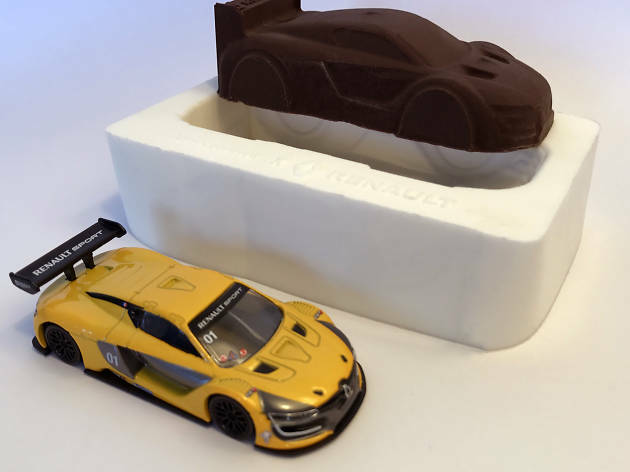 Adapted to all ages (from as young as 6 to 14), the hunts are accompanied by culinary workshops where the children, under the leadership of a famous chef, will be invited to customise a chocolate Renault Sport RS01 with endless sugary toppings (sprinkles, gold glitter, etc). When? Sunday April 16. Mini-hunts at 11am, 2pm, 3pm and 4pm. One for all! This year, the Chateau de Vaux-le-Vicomte puts its majesty to your service in providing a gigantic game. The smallest hiding place in the French garden designed by Le Notre will become a theatre of entertainment, surrounded by chocolate treasures. Workshops and activities for all the family will feature over these three days such as cape and sword shows, and introductions to fencing, pony riding and egg engraving. When? Saturday 15th, Sunday 16th and Monday 17th April from 10am-5pm. How much? The treasure hunt and access to the performances of the artists are included in the full rates (€17,50) and reduced (€14,50). The garden rate (€10,50) only gives access to the treasure hunt. Free for children under 6 years old. On this 2017 Easter weekend, come for a total change in scenery, away from grumbling motors, car horns, urban pollution and endless tarmac, welcome to the countryside. 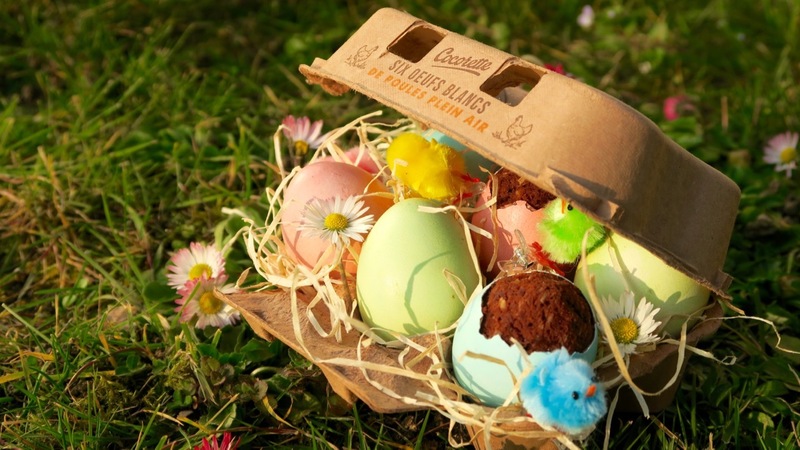 In the midst of young chicks, lambs and chickens at Gally farm, children will be part of egg decorating workshops or wooden nests. But also and especially to reap the fields and exchange what you find for tasty sweets. When? Sunday 16th from 10am-5pm and Monday 17th April from 2pm-5pm. How much? Reservation on its website. €4 for children. € 4,50 for adults. 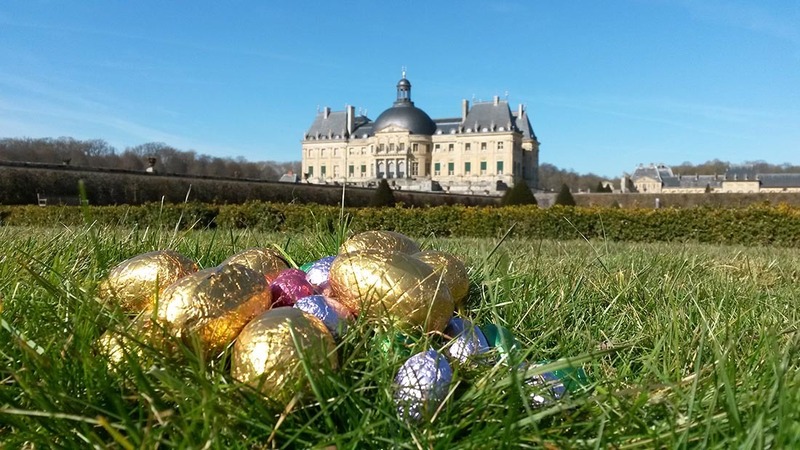 The Saint-Jean de Beauregard chateau organises its natural Easter egg hunt for all ages. 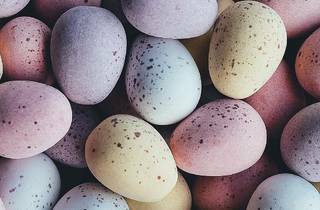 And for the 6th time, thousands of eggs will be hidden in over the green estate, so you can exchange them for delicious chocolate eggs once the harvest is over. The budding Picassos can also participate in an art competition and the winner will walk away with an XL chocolate egg. For the keen athletes, join the Olympic egg race, and of course don’t forget the giant games dotted around the site, giant Mikado, Dutch billiards and ring games. Meanwhile, parents can visit the decorated egg exhibition by the artists Mirela or admire the flower garden. When? Sunday 16th and Monday 17th April from 2pm-6pm. Hunts start every hour and are reserved for children aged 3 to 10. How much? Prices range from €6-8. Free entry for children under 6. How to get there? Take the RER line B (trains to Saint-Rémy-les-Chevreuse) and get off at Orsay-Ville station.